Day started off as a hectic one, as I not only had to do some last minute shopping, but also because I was planning to leave tomorrow early morning. First things first, finally bought a new UPS battery for my motorcycle and also bought tank pad (Bajaj one which comes on new DTSi), spare engine oil (Sprinta 4T 2000) and Halonix 60/55w H4 Halogen. Also got the bike washed, petrol filled and PUC made and a few more chores. When in the evening I found out that the my bike’s high beam wasn’t working again (it had happened a few months back as well), I was in no mood to go to a mechanic and get it fixed. Instead thought about just riding out in the wee hours of the morning with help of low beam and get it fixed at the Bajaj Auto service center in Mandi. By the time I was almost through with packing (with big help from mom and sis), I was feeling tired and on top of it, and just wasn’t feeling enthusiastic about riding out in the morning. Thought for a second and decided to postpone the ride by a couple of days. After all it is not like I have any deadline to adhere to or an office to return to (i.e. I love working for myself), so why hurry? So I decided to rest for at least next couple of days and start for Ladakh as and when I feel like starting, as majority of preparations and packing is done (cloths etc. are in saddle bag). Trip plan i.e. 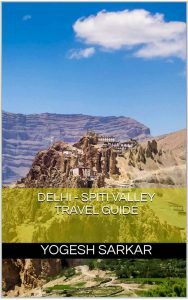 start from Delhi in September and spend 20-30 days in Ladakh and basically go where ever I feel like going, after reaching Ladakh, is still in place and would be happening soon. Oh!! Nice to hear 20-30 days in Leh. Read about your preparations and could share your excitement. On a bike – alone for 20 -30 days. Sounds wonderfully liberating. Look forward to your postings. Best wishes. Thank you sir, well for most part it won’t be a solo ride anymore. A friend is joining in on his Thunderbird. I am planning to leave on 19th – any clue on the road condition – is it still open to public? Also till when will the road be open this time. Thanks Yogesh, the information is really helpful. 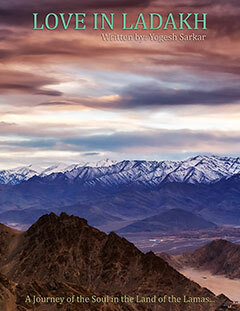 How-to explore Ladakh in 3 days! Flight booked for 9th trip to Ladakh!